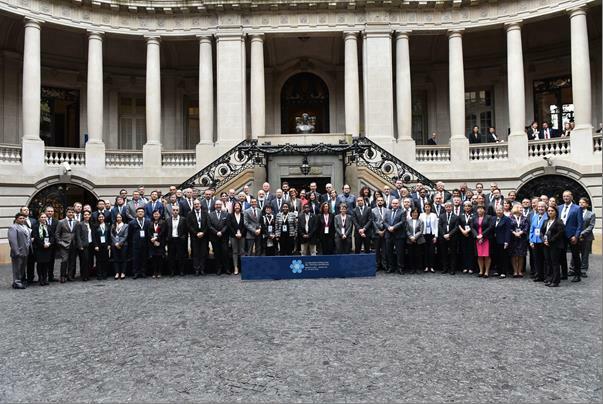 The 41st Antarctic Treaty Consultative Meeting (ACTM XLI) and the 21st Meeting of the Committee for Environmental Protection (CEP XXI) were held in Buenos Aires, Argentina, during 13 – 18 May 2018. The meeting ATCM XLI was chaired by Ambassador Maria Teresa Kralikas, from the Ministry of Foreign Affairs and Worship of Argentina. The XXI Meeting of the Committee for Environmental Protection (CEP) was held from May 13th to 15th, 2018 and was chaired de dl. Ewan Mclvor (Australia). 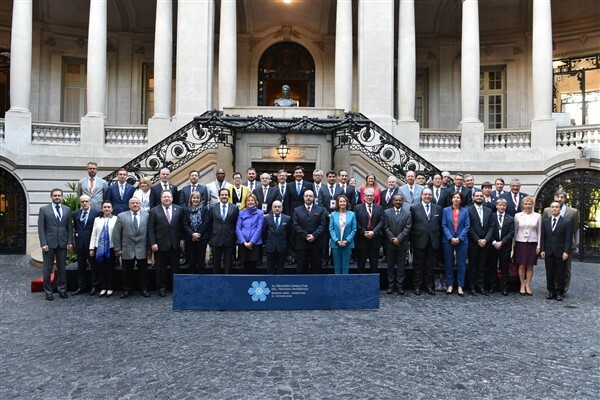 The meetings, which took place at the Palacio San Martin, were organized by the Ministry of Foreign Affairs and Worship of Argentina and are very efficiently assisted by the Antarctic Treaty Secretariat. 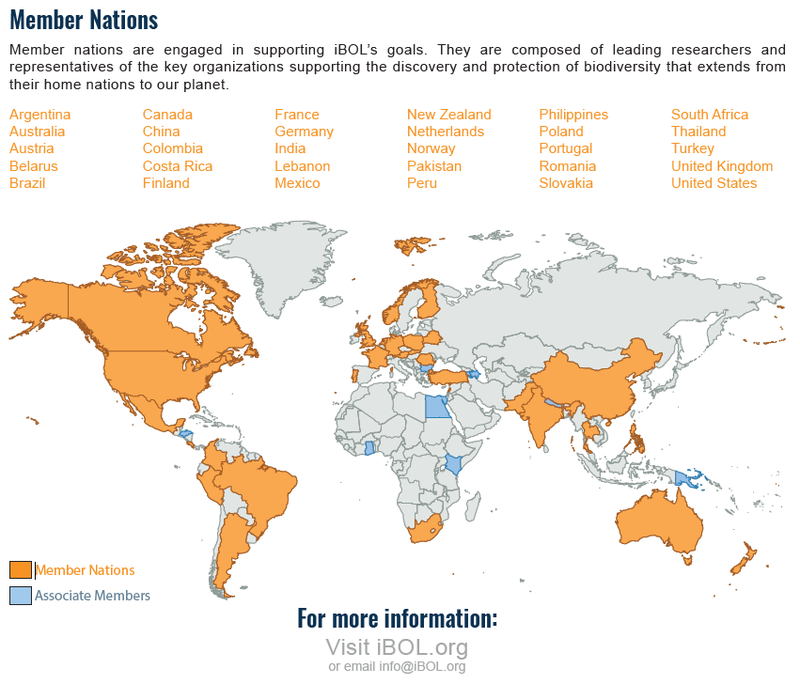 Participants from 53 Antarctic Treaty Parties, observers and experts from international organizations were invited to attend the annual Meeting. 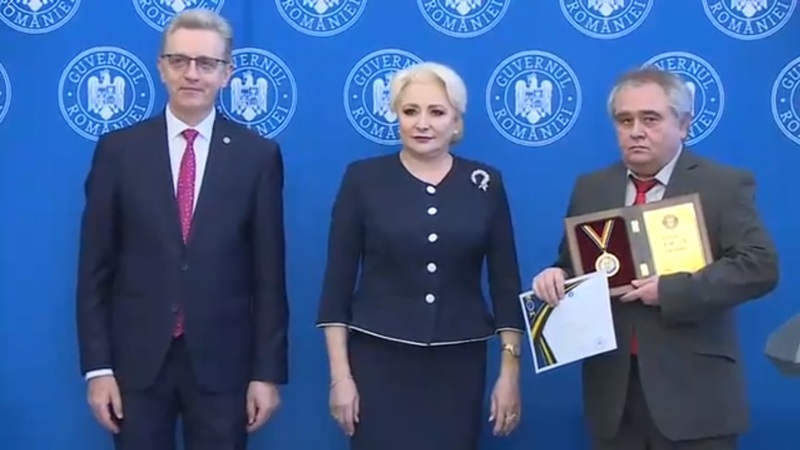 The members of the delegation, the objectives of the delegation etc., were approved by Memorandum 1741/03.05.2018 proposed by the President of the National Commission for Antarctic Research (NCAR) within the Romanian Academy, endorsed by the NCAR coordinator of the Romanian Academy – Cristian Hera, and by the Minister of Foreign Affairs, Dipl. Teodor Melescanu. Due to unexpected changes in the regular schedule as originally foreseen, on this occasion the ATCM XLI and CEP XXII meetings worked under a reduced program, which did not prevent them from addressing the most relevant issues on their agendas. Discussions at the ATCM focused on: operation of the Antarctic Treaty System, biological prospecting in Antarctica, inspectors under the Antarctic Treaty, and tourism trends and environmental impacts in the Antarctic Treaty area, as well as the upgrading of the Multi-Year Strategic Work Plan. The CEP discussed the environmental impact of human activities, including construction of new facilities, management of tourism and operation of unmanned vehicles; the management of protected areas and the environmental aspects of inspection reports. –	Meeting with current and potential partners. Mrs. dr. Manuela Elisabeta Sidoroff, General Director of NIRDBS, had discussions with members of delegation from the Korea Polar Research Institute (KOPRI) from the Republic of Korea, with a view to further developing the framework agreement, in particular details regarding the 2018-2019 period. Discussions were also held by members of the Romanian delegation with a view to initiating collaboration with Turkey, which will materialize through a joint project also in the Antarctic summer, 2018-2019. The strengthening of the cooperation between Romania and Argentina was pursued through discussions between the members of the two delegations, in view of those proposed before the meeting. The works of ATCM XLI, May 13-18, 2018, Buenos Aires, Argentina, have been prioritized to address the issues contained in the Working Papers (WP) and ATCM Multi-Year Strategic Work Plan (MYSWP) with a view to completing Agenda by assisting ATCM in identifying priority issues and supporting for more efficient operation. Parties congratulated the Scientific Committee of Antarctic Research (SCAR) on its 60th anniversary, and the Council of Managers of Antarctic National Program (COMNAP) on its 30th anniversary, both key organizations of the Antarctic Treaty System. 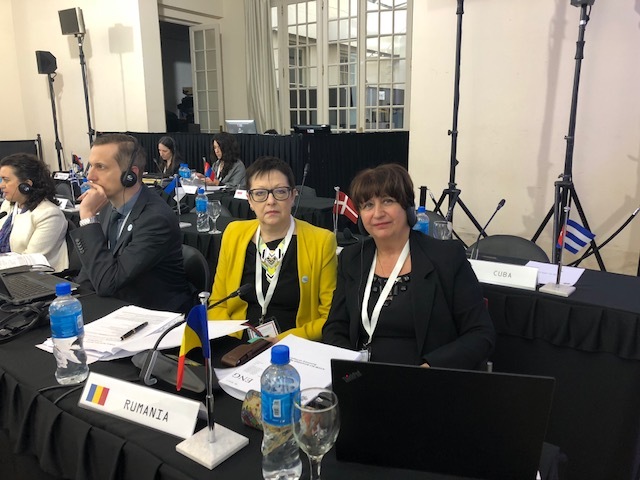 Parties expressed their gratitude to Argentina for having organized ATCM XLI and CEP XXI under extraordinary circumstances and with such notice and their appreciation for the excellent facilities provided for the meeting. Next year, in 2019, the Czech Republic will be the host of the Antarctic Treaty Consultative Meeting (ATCM XLII), when it will be 60 years since the Antarctic Treaty was signed.